An investigation is underway after a large amount of jewellery and cash was stolen in a Rustington house burglary. 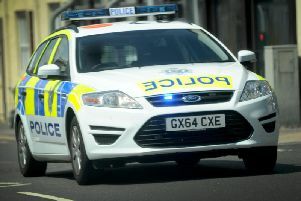 Sussex Police said the burglary in Fontwell Close was believed to have happened shortly after 8pm on Saturday, January 19. A police spokesman said an unknown quantity of cash and a large amount of jewellery was stolen, including a gold necklace with a jade Buddha pendant on it, and a Hello Kitty shaped necklace pendant. A red handbag was also taken. Two men were seen running from the address shortly after the burglary, police said. Anyone with any information is asked to report it online or call 101, quoting serial 1353 of 19/01.